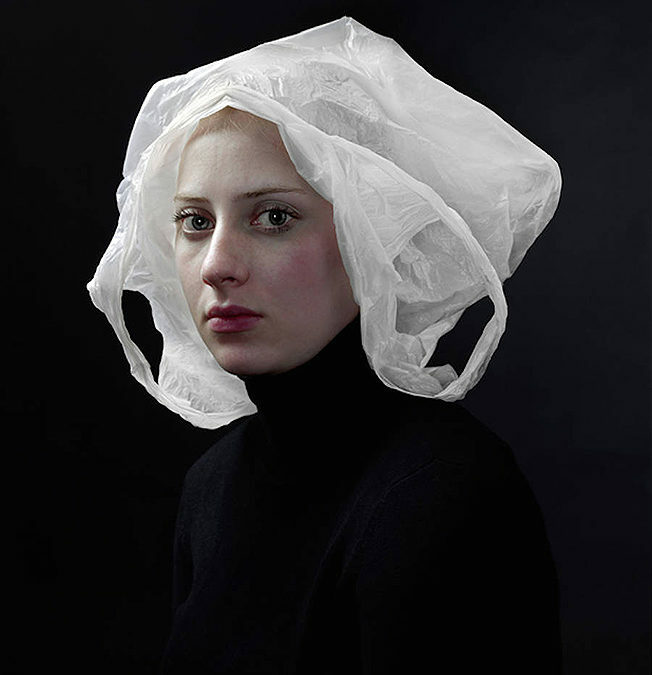 Dutch artist Hendrik Kerstens didn’t mean for this series of photographs of his daughter reminiscent of famous Dutch paintings from the 17th century to make a statement about our disposable culture of consumption, but of course, that’s how I see it. It seems to us odd to adorn ourselves with the detritus of our every day lives, but sea creatures and land animals face strangulation, choking, and death from ingesting too much plastic every day. This series is a good reminder: our choices are murdering life on this planet. For more images from his collection see this article in interior.ru.